Hebrews 4:12 is a wonderful verse that solidifies the importance of the Scripture. Coupled with 2 Timothy 3:16, the Bible is the very breath of God that goes to the inmost being of people to accomplish its purposes. Scripture is what our Lord shot back at Satan in the wilderness and it is the one offense weapon described in the full armor of God. We have limited the message of the Word of God by only thinking of the Bible. But in regards to this Hebrews passage, I have been thinking that we have limited the message of this verse by only thinking of the Bible. 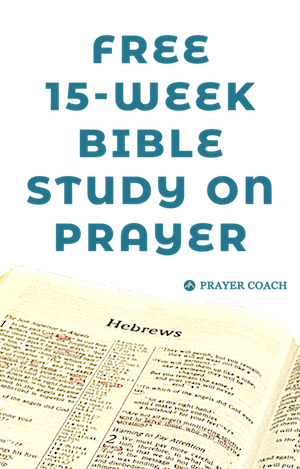 The first four chapters of Hebrews describe how God spoke in the past, how the Isrealites heard his voice, and how we are to pay attention to what we have heard. Three times leading to the verse in 4:12, the author quotes Psalm 95:7-8: “Today, if you hear his voice, do not harden your hearts.” The connotation of this passage is that the word of God is the voice of the Spirit communicating to you. It most definitely means the Scripture, but it also means so much more. When we come to prayer, we need to take time to listen to what the Spirit is saying to us. Romans 8 tells us that the Holy Spirit and Jesus are interceding for us, therefore when we tap into what they are already praying we will be effective in our prayers. Also, in regards to this verse in Hebrews, the word of God judges the thoughts and attitudes of the heart. I have found that listening to what the Spirit has to say illuminates what is in my heart that is keeping me from fully believing the truths of the Scripture. The Spirit, who searches our hearts, can reword the truths of God in ways that speak right into and past the pain and hurt in our lives for us to receive its truth. My cousin lost her three month old son to SIDs. Let’s look at how this plays out in a real-world example. My cousin lost her three month old son to SIDs over this past weekend. As a parent myself, I can feel the pain and sorrow that her family is going through. In the midst of this pain, it is difficult to read the passages of God’s love, God’s plan, God’s goodness and have faith to believe it is true for them. The family is left with two options: 1. to kill the desire to know why or 2. to have an encounter with God that changes them. Choosing the first option deadens Christianity. Choosing the second option lives out Hebrews 4:12. In His love He will come to us and meet us in our time of need. God’s word in this context is God speaking to reword His truth in ways that penetrate them past our pain and experience so we can hear and believe them. In His love for us God enters into our pain in order that our relationship may be renewed. I do not know exactly the words my cousin needs to hear from God. I am not saying this is an easy step. What I am saying is that the voice of our Father is kind and gentle. He does not break the bent reed. He goes after the lost sheep. He never leaves nor forsakes us. All of this is true because He loves us beyond what we can ever imagine possible. And, in His love He will come to us and meet us in our time of need. As we draw near to Him, He will draw near to us. Our prayers need some aspect of allowing Him to speak. Also, please pray for my cousin and others who are struggling to understand the loss of loved ones.